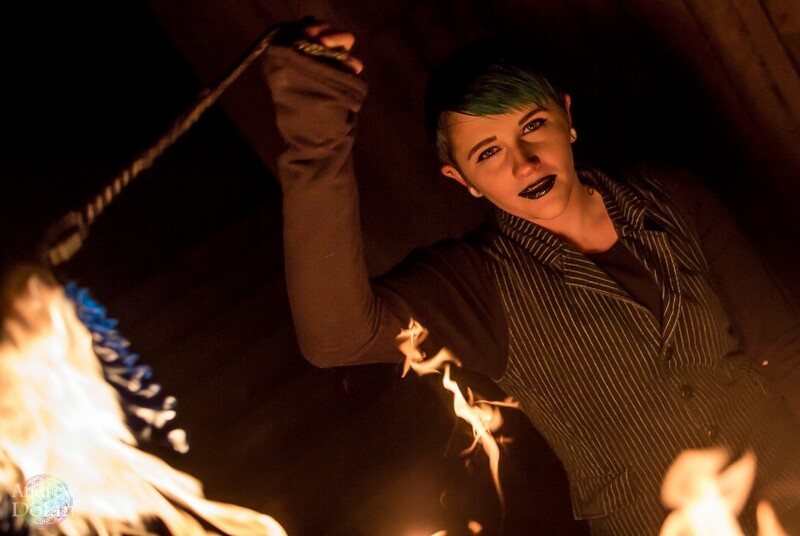 I'm a professional fire poi, fire hoop, and aerial hoop artist based out of Tulsa Oklahoma, I have performed in several events such as Daydream OKC 2016, Shemanic Boom, Chalk It Up fest, Max Retropub anniversary street party, Tulsa Mardi Gras Masquerade, some private parties, and First Friday Art Crawl. 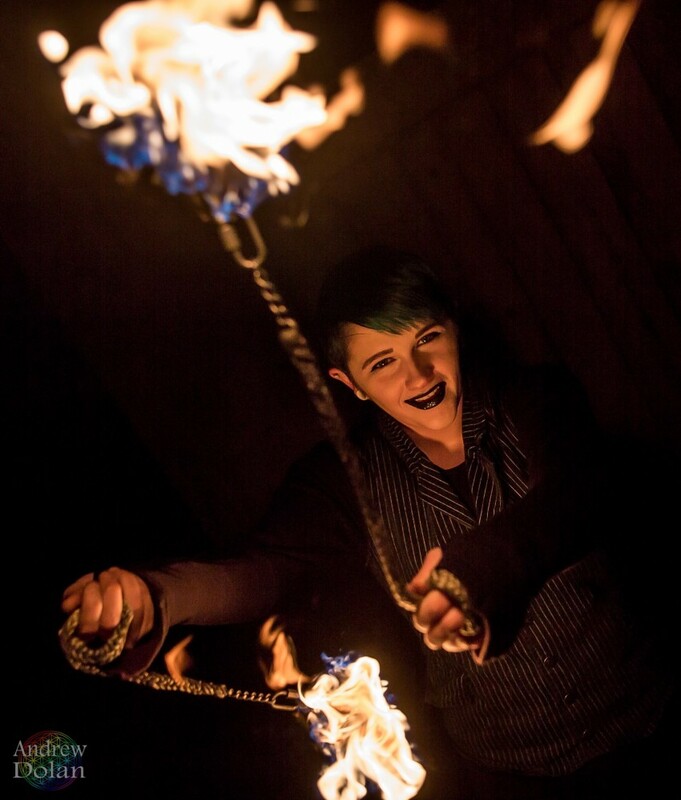 I'm available for anything from weddings to kids parties and anything in between! Also looking into adding more surprising things to my shows in the future! I have performers insurance through SIA as well! 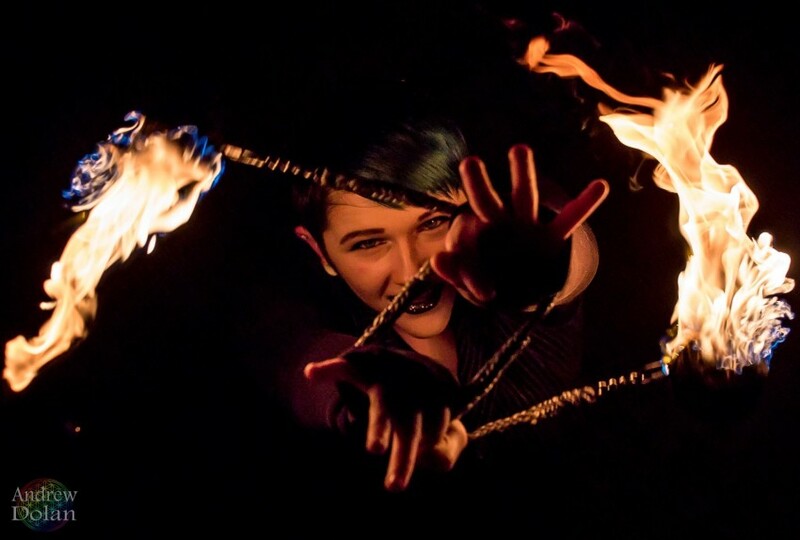 Insurance: $3,000,000 - Insured with Specialty Insurance Agency for aerial hoop and fire performance. 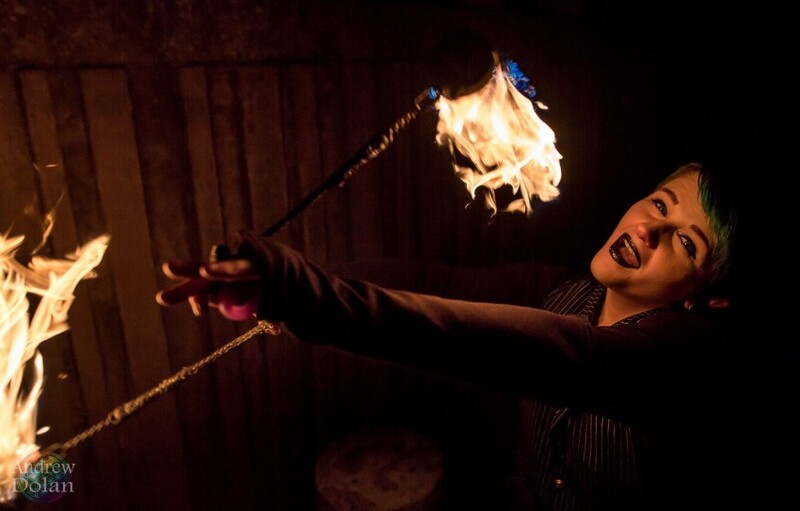 As of now I have a set of regular fire poi heads that produce a nice sized flame, along with what are called fire snakes which are poi heads that have about a 16 inch long sheet of flame that produces beautiful effects. Due to its weight I usually save them for the end. 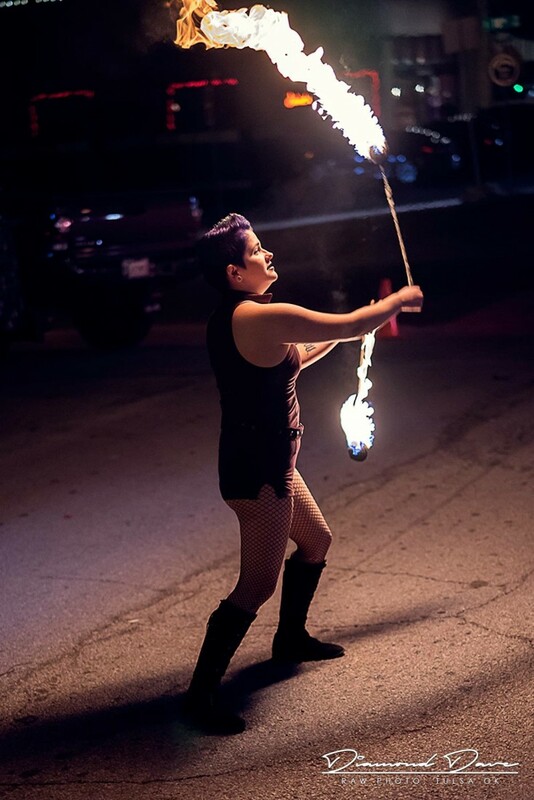 I also perform with a synergy 5 wick fire hoop and I'm experienced in Aerial Hoop which is a form of acrobatics, I will have my own portable rig that can be adjusted to accommodate different spaces! You can also expect that I will have a copy of my insurance, my own fire safety personnel and safety equipment such as a fire extinguisher and fire towel. For aerial hoop I will need a designated open space outdoors or a nice open spot indoors, we will be able to set the rig to any height!